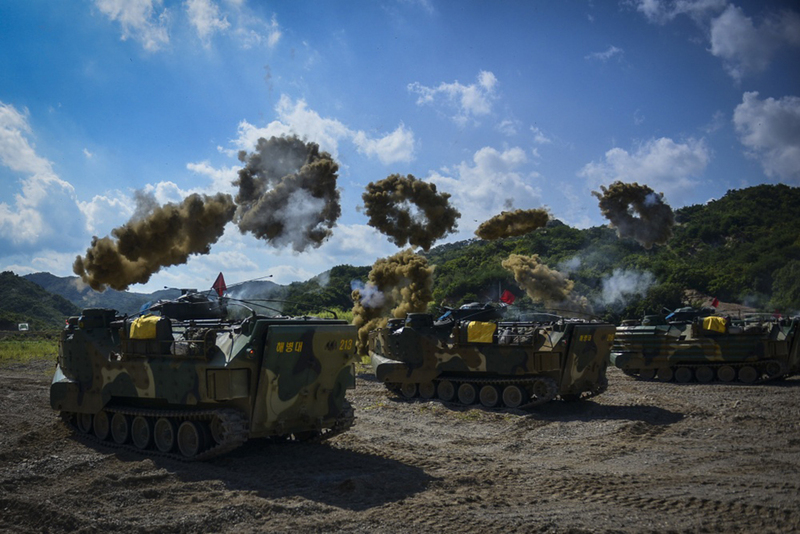 SUESONGRI, Republic of Korea (Sept. 12, 2017) - Republic of Korea Marine Amphibious Assault Vehicles eject smoke clouds during Korean Marine Exchange Program (KMEP) 17-13 aboard Suesongri live fire range. 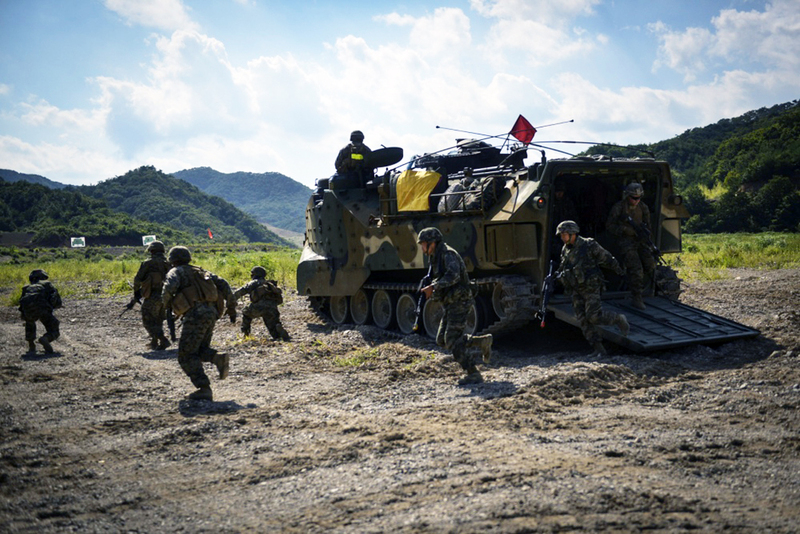 KMEP 17-13 enables the Republic of Korea and U.S. Marines to focus on exchanging tactics, procedures, and increasing interoperability. The Hawaii-based battalion is forward deployed to Japan as part of the Unit Deployment Program.